ABOUT US We develop interactive systems for consumer-facing companies with a great user experience so they can create new products and services. High quality application development and engineering leadership to help you build applications and prototypes from scratch, or manage projects to a successful launch. 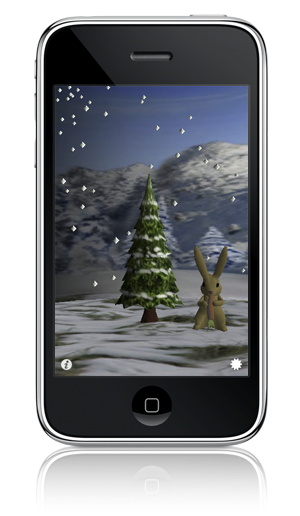 Design and development of iOS Apps or responsive web apps ranging from games to location based apps. Advice and leadership for creating consumer-oriented solutions with a long-term technology strategy for your company. Typical tasks include architecture development/ review, service-oriented-architectures development and APIs, code reviews. TECHNOLOGIES When building things from scratch we love iOS development, React frontends and Ruby-on-Rails backends. Michael was the co-founder and CTO of Navera which provides interactive Education and Decision Support products that help individuals and their families navigate the new era of consumer-driven healthcare. He has 14 years experience leading teams in the rich-media application, entertainment and healthcare industries. Prior, he held senior engineering and design positions at Yahoo and Sony and also consulted for several consumer-oriented technology companies including Samsung and Netflix, making key contributions to world-class applications, games and user experiences. He is a proven leader with a strong track record of building and managing engineering and design teams that deliver innovative products and high quality code. In addition, Michael is the lead inventor on five patents in 3D graphics and two in interactive education and decision support. Michael has an M.S. in Computer Science from University of Erlangen-Nuremberg and a Ph.D. in Computer Graphics from University of Dortmund. T: +1 415 355 4404 . 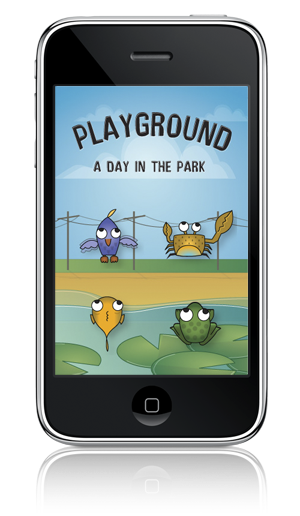 Playground: A Day in the Park is designed to teach basic interaction methods to 1 to 3 year-olds. 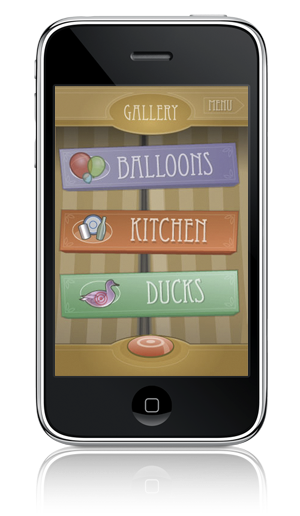 Kids remember how to tap, drag, and target screen objects while playing with an assortment cute animals in the park. Our research shows that the tasks will be quickly recognized and learned and provide hours of enjoyment for your kids. Don't be surprised when it puts a smile on your face as well! Flick the line to make a cute bird do flips. Try to make him spin as many times as you can! It's addicting to watch and play. Touch the crabs to make them run home. Release them with another touch. Their pincher dance will captivate you! Tap the water to get the interest of a school of fish who are wandering around in a small pond on your phone. Simply entertaining. Stroke the frogs to make them jump. The faster you stroke, the more they will go crazy! Just delightful and fun! We would love to have more animals in the park. Drop us a line if you have suggestions. Don't forget to check on your tree on those dates to see what happens. Shooting Gallery is a carnival game that features numerous moving targets like metal ducks, balloons, and stationary items like bottles, plates, and tins. Three rounds to play with increasing level of difficulty. This game is best played one handed with your strong hand: Lift the phone to aim like you would if you hold a rifle and use your thumb to fire. The jitter - while improved in v2.0 - is intended as we tried to be as close as possible to a real aiming scenario (if you have suggestions, please email us). Accel Blocks is an arcade game with 3D effects that utilizes the accelerometer to control the paddle or you can opt to use the touch interface by going to the settings. 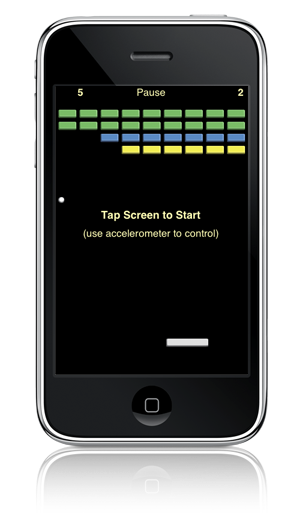 The accelerometer can now also drive the ball when it goes up which makes this a new type of game play. Settings can be found in the home screen of your iPhone/iPod. We will be working on integrating the settings in the app. Any other suggestions please email. To Pause touch top of screen.